Okay, even though it claims in English to be a HOT & DELICIOUS BURRITO, I should have known that anything resembling a slightly overgrown packet of saltine crackers was going to deliver nothing but disappointment. 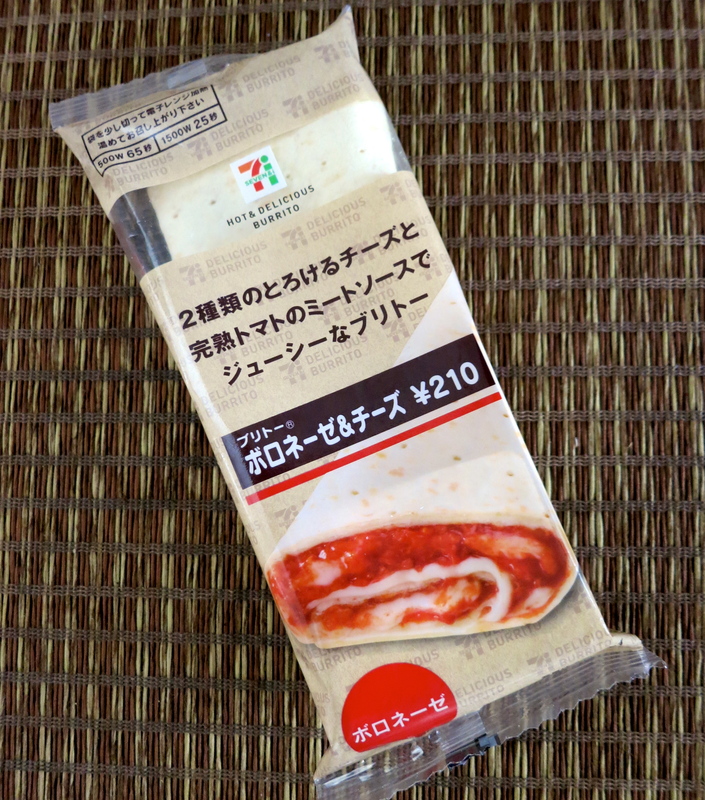 But in case I had any doubts, it says right there on the package in Japanese: Bolognese & cheese. Unclear-on-the-nationality sauce fail OF EPIC PROPORTIONS. At least you knew what you were getting into. Think about the poor slob who thought he was getting salsa.